With Labor Day just around the corner, law enforcement officials across the state are already out in greater force to track down and arrest any motorist suspected of drunk or impaired driving. The heightened enforcement effort, which was kicked off about two weeks ago, will continue through this coming Tuesday, Sept. 6th. Checkpoints, roving patrols and saturation patrols are just some of the ways police, sheriffs and state troopers will be cracking down on suspected impaired drivers. At least 90 agencies will be participating in this effort. Over the years, the Labor Day enforcement has taken thousands of impaired drivers off the road… Troopers from across the state will be working overtime to protect the roads from impaired drivers, ensuring Coloradans can enjoy the end of the summer safely. Every year since 2013, at least 1,000 people in Colorado have been arrested for an alleged DUI offense over the Labor Day enforcement period. Breaking this down to a daily basis, this means that, during the Labor Day crackdown, at least 50 people are arrested for a suspected DUI offense. This high arrest rate makes the Labor Day crackdown the 3rd leading period for DUI arrests in Colorado. The departments that tend to make the most DUI arrests over the Labor Day crackdown include the Denver Police Department, the Colorado Springs Police Department and the Aurora Police Department. Getting a friend to agree to be your sober driver. Making your plans around the available public transportation. Relying on professional drivers, like cab drivers, or ride sharing services to get you home safely. Finding somewhere to stay on the evening of the party or event so that you don’t have to worry about driving or transportation at all. 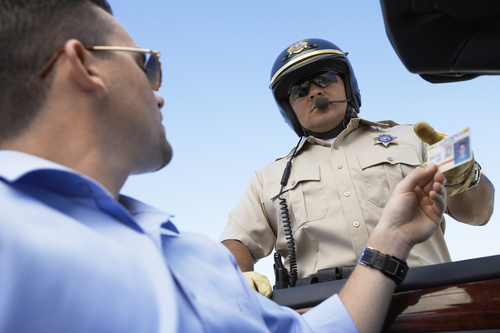 Tell us how you are planning on avoiding a DUI arrest this coming weekend on Facebook & Google+. And, if a DUI arrest does happen this weekend (or at any point in the future), contact us for experienced DUI defense representation. 1: These facts and statistics have been reported by CDOT officials over the past few years. Detailed reports regarding these statistics are available here.